This bipod clamps on to a rifle's barrel for a more stable platform. 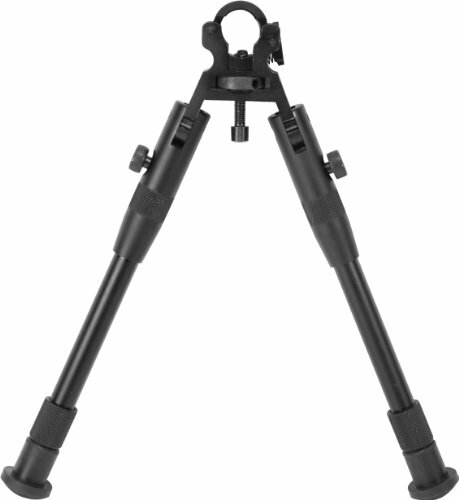 The bipod legs feature a Posi-Lock wheel and a rubberized comfort stand to prevent tipping. Wheel adjustment that clamps on a range of barrel sizes from 11mm to 19 mm. Easy to use and install. Legs fold up for easy storage.